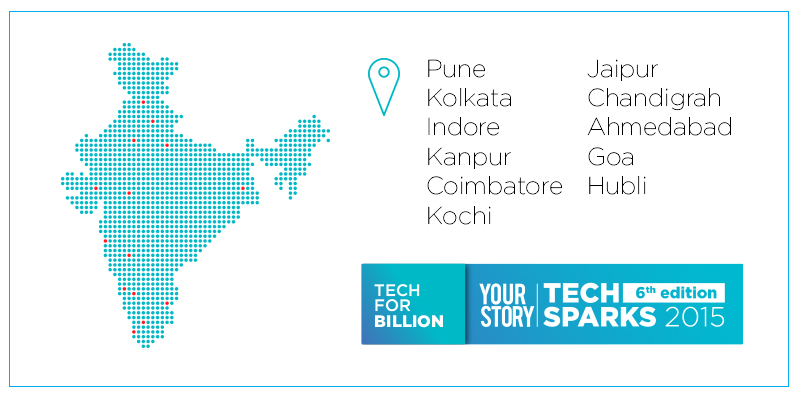 TechSparks an event that has been organized every year since 2010 is finally back, but in the run up to TechSparks, YourStory, the organizers of TechSparks are organizing another huge event, with simultaneous meetups in eleven emerging Startup cities in India on the 9th of October. Following TechSparks theme for this year, Technology for the Billions, the team will be focusing on Startups that aren’t from big cities and look at the smaller places in India. Over the three hours that the meetups span, you would have, five startup pitches at each location, a tonne of networking, followed by the much anticipated, high tea. There will be a winner at every location, making eleven winners and they would all get tickets to the main TechSparks event and will be eligible to win an exhibit space worth 2 lacs. If you are a Startup with a pitch and you think you have what it takes, register here.